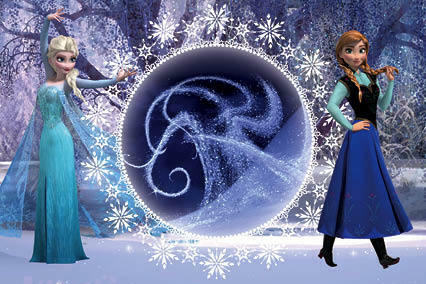 2014 Panini Frozen Ice Dreams Photocards represent the biggest set of cards for the animated film thus far -- at least in a literal sense. The simple and affordable product has 108 cards total. This works out to 72 basic cards and another 36 foil cards. 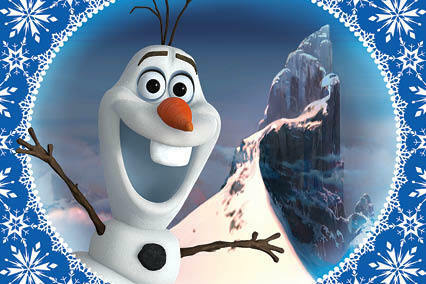 They come with illustrations of all the animated blockbuster's key characters. 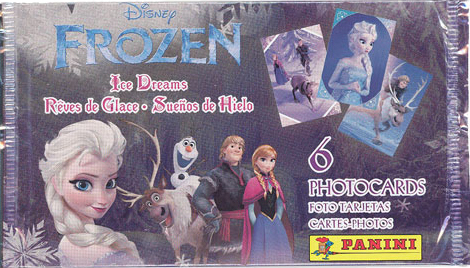 2014 Panini Frozen Ice Dreams Photocards are bigger than traditional trading cards. Each card measures 4 x 6 inches. They resemble postcards in this regard. Packs come with six cards while boxes have 24 packs. 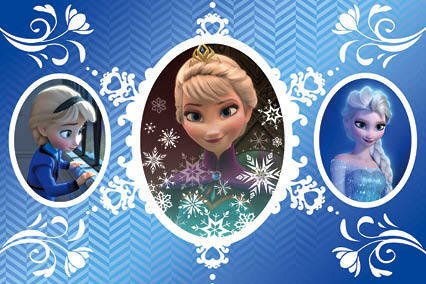 In addition to these photocards, Panini has also produced a pair of Frozen sticker collections. As far as trading cards go, Topps released a set of activity cards for international audiences. However, these are not readily available in North America. 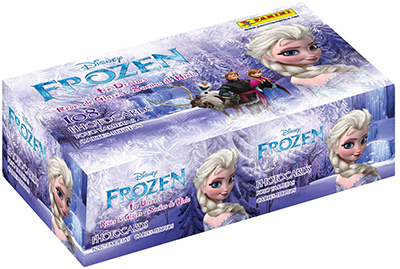 Disney Frozen Sticker Box (Panini 2014) 50 PACKS = 350 STICKERS -BRAND NEW BOX-. I need two cards to complete my set. Where can I buy just those two cards.